Last week we talked about knowing your priorities. This week we move on to self-care. You are your most important priority because if you aren’t taking care of yourself, you will be doing a poor job with everything else. Maybe you can hold out for a while, but eventually, it’s going to catch up with you. Making the change is going to be hard work. It’s going to be hard because you are likely resistant to doing it. There is so much on your plate demanding your attention and the societal norm is to put others first. Even those priorities I discussed last week—your family and friends—can take time away from you. Finding balance is going to be key. Recognizing how it affects the bottom line, the business world (guided by psychologists) is working to make their people aware of the importance of practicing positive self-care. Schools are also dealing with this as they move into Social and Emotional Learning (SEL), but SEL is focused on students. You need to develop your own practices that ensure you are taking care of yourself. Get Enough Sleep – Easier said than done. If 8 hours is out of the question, go for 7. And develop a sleep routine as you would for your children. Have everything ready for tomorrow so you don’t fret about what you have to do in the morning. Read a relaxing book. I love HEA’s (happily ever after), so I know my main characters will be together by the end no matter how bleak things look. Also, trying to go to sleep and wake up at the same time every day, even on the weekend, can be beneficial. 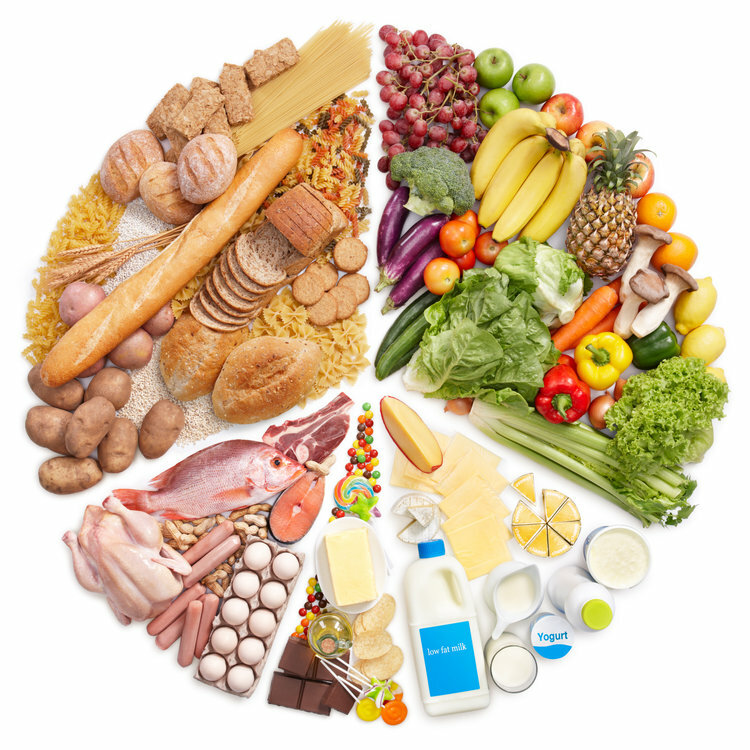 Maintain Proper Nutrition—This one is also going to need a plan. Stress makes you grab for the unhealthy snacks (as Weight Watchers keeps reminding me). 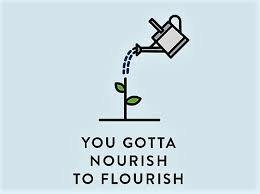 Part of your positive self-care is creating a plan that results in healthy eating most days – nobody is or should be perfect. For some of you, this may mean making dinners for the week on Sunday. For others, it’s a matter of planning breakfast and lunch and keeping healthy snacks at work. Exercise regularly – My personal goal is to walk 12,000+ steps 3-5 times a week which is a huge difference from when I started years ago on an exercise bicycle and all I could do was 5 minutes. Do what you can to choose an exercise you like doing. This could take some time to identify, but if you don’t like it, you won’t continue. 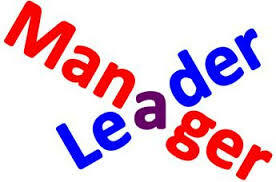 Maintain Social Support –This is what I discussed last week. 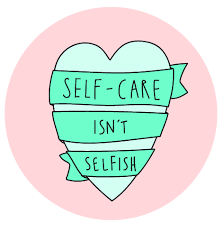 Your family and friends are not only a priority but are also part of your positive self-care. Make time for getting together. Find Hobbies—For me, it’s always been reading and I’ve written about how I enjoy my games of solitaire on the computer. I find it’s a good break as long as I don’t overindulge. Walking, much to my surprise, has become a hobby which is true of any sport you like. But it could be yoga, gardening, coloring in the new coloring books, scrapbooking, knitting, or whatever suits your fancy. Pamper Yourself – I love this one. I joined a local chain (Massage Envy) to ensure I schedule a facial or massage once a month. Then there’s manicures and pedicures and other spa treatments that you can do at a salon or at home. 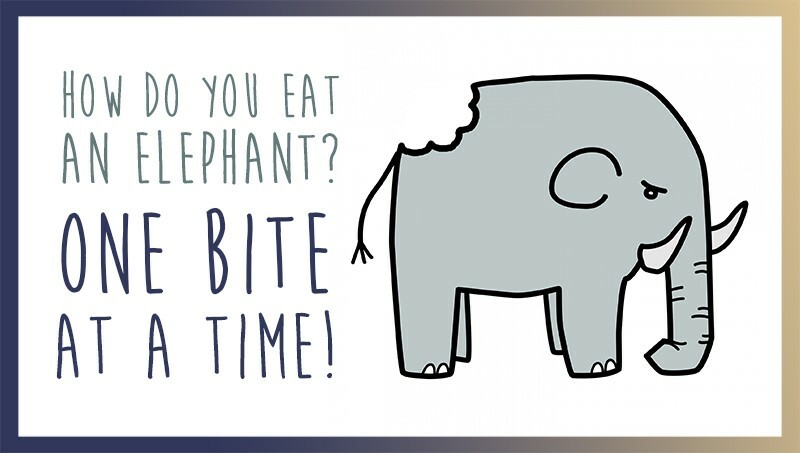 Keep Your Mind Sharp – An easy one for librarians. Scott encourages you to see stress areas as a challenge—what I call a “chopportunity.” I have been disciplining myself in reading one article a day in one of my professional journals. I always end up with new ideas and ways of looking at things (and new blog post ideas!). Have the Right Attitude – This is all about Mindset. What you think about something conditions how you react which causes either an up or down spiral. You are in control of how you think, and frequently the only thing you can control in a situation is how you respond to it. Take a moment to look for ways to make it work for you. Process Your Emotions – Be honest about how you are feeling. 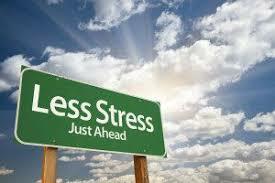 For example, suppressing anger doesn’t make it go away and instead causes an increase in stress. Acknowledge it. Consider where it is coming from and how you can either deal with it or change your attitude about it. Journaling, which could also be a hobby, can be a way of processing your emotions and so can talking to friends, which connects to maintaining social support. Maintain a Spiritual Practice–Having belief system that grounds you whether it is a religion, spirituality, meditation, or a firmly rooted philosophy is a resource you can turn to when feeling stressed. This sort of foundational belief can offer strength, grounding, or a place to return to when, once again, stress levels get high and life is out of balance. 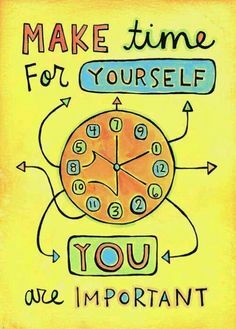 And as a reminder of how easy it is to fall back into your bad old ways, see Cammy Pedroja’s 7 things that are good examples of self-care, and 7 things that aren’t. 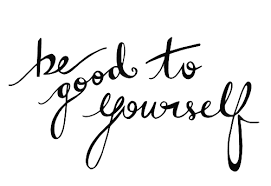 Remember Positive Self-care is you focused on you to ensure you are in the best possible frame of mind to take care of others as well as do what needs to be done. If this is new for you, I recommend picking two from the list and integrate them into your daily life – maybe one that sounds easy and one that seems like a stretch. Once you feel you have incorporated them into your life, pick two more and see how it goes. The last section of Leading for School Librarians: There Is No Other Option is called “Maintaining Joy.” I discuss ways you can keep yourself fulfilled. The four chapters build on each other, starting with “Writing and Presenting” to prove your value to yourself and others, followed by chapters: “Delegating” so you don’t do it all; “Giving Back” which gives you more than you gave; and finally, “The Gift of Time” which is what I want to focus on today. I can hear you saying, your schedule is packed. You don’t have time. I’ve been there. I understand and it wasn’t until I made it important to live my priorities that anything was able to change. I spent most of my adult life being task-oriented. I loved my job as a librarian and worked hard at it. It was important, and it deserved all that attention. What I didn’t see was my beliefs and actions were in opposition. I would tell you my family was my first priority, but that’s not what my behaviors indicated. As a result, even when I was present with my family, my mind was somewhere else. I missed a lot. I eventually realized what I was doing to myself and the people I cared most about. I developed a mantra that I kept repeating, “Everything will get done. It always does.” And it did. If it was a priority and important, I did get it done. Sure, some of the lesser tasks got pushed down and some minor ones never got done. But no one noticed anything lacking. By contrast, I truly enjoyed my time with my family and friends. Today, while I am nominally retired, which is to say I no longer work in a school library, most of you are aware that I teach an online course, write books for school librarians, and am active in my state association and at ALA/AASL. And I still make time for what is truly important. I have a monthly lunch date with a friend. I take long walks 3-5 times a week. I shut my computer off at 6 p.m. When my son drops in, I stop what I am doing—even if I am in the middle of writing a blog. I spend the evening with my husband. Somehow, it all works. My life is richer, and most importantly, not only am I happier but I can see how my change has had a positive effect on those I care about. You need to devote time to what matters most. You can fit in a massage once a month. You are worth it. You can take the weekend off to be with your family and not worry/think about Monday. You can do what I did – find a mantra, a saying, even a song that reminds you to look at your priorities and schedule your time accordingly. The business world agrees with me. In an online article entitled 5 Myths of Work-Life Balance Debunked by an Entrepreneurial Dad, James Sudakow speaks to dads with big jobs who “lament” missing important events in their kids’ lives and other family times. Their work-life balance has become seriously skewed toward work. As the title indicates, he rebuts five myths. You won’t kill your career by setting firm boundaries between work and life. The tasks will get done. 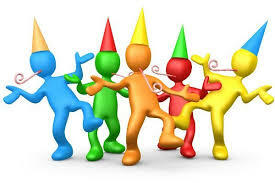 I find they get done more efficiently and better because I come to them refreshed with a positive attitude. Even if I have to scramble as a deadline approaches, that mindset powers me to complete what’s on my plate and give it my best. How many days are you staying late? It shouldn’t be more than one a week unless you are in a new position. Even then, three days is the outside limit. You can put family first. Not just “can” but “must.” You can’t say family is your priority if that’s not how you are choosing to spend your valuable time. Since we all have the same 24 hours in a day, you need to prioritize more honestly. I find if I am just focusing on tasks, I am also likely to allow more time-wasters to creep in from checking emails too many times to playing solitaire on the computer. “Work-life blend/integration” is not the only viable solution (despite what many say). Here Sudakow refers to allowing work to “blend” into your life. He says it’s better to compartmentalize. I agree, although there are occasions while my attention is focused on my family or my own rejuvenation activities, I come up with an answer to a work-related question that was troubling me. It most often happens while I am walking, but it has also occurred while getting a massage. Jot it down – go back to your family. Work-life balance is not a 50:50 proposition. No one is suggesting you divide out your day evenly between work obligations and family time. It’s what’s most important now that helps set the balance. Some days you need to be at your kid’s game and watch the whole thing without working on your cell or laptop. Other days you may only be fully present at dinner. If family is at the much lower end most days, you are not balancing well. 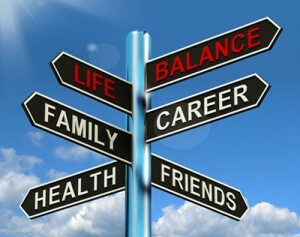 Work-life balance comes down to hard choices we haven’t forced ourselves to make before. The discussion of the other four de-bunked myths shows how true this is. To stay on course, remind yourself you will never get back time lost with family – and friends. The work never goes away. Which memories do you want to look back on—time spent with your family or the hours spent working? And remember to make yourself a priority. Positive Self-Care, which I’ll be talking more about this next week, is critical to your long-term success. You are what matters most, because if you don’t feel good about yourself, if you are not taking care of yourself, you will be drained, frustrated, and frankly cranky and I know that’s not what you want to bring to your library program or your teachers. Take a little time this week to notice how you’re using your time and where your being guided by your to-do list over your priorities. No matter where you are on your professional journey, starting out or established leader, there are times and opportunities where you need to take risks and move out of your comfort zone. Frequently this means creating and tackling a project. Smaller projects, which tend to be shorter term, could include a “one book, one school,” a book club, or starting a Makerspace. A big project might be genre-fying your fiction (and possibly your nonfiction) collection, turning your library into a Learning Commons, or building a new library wing. 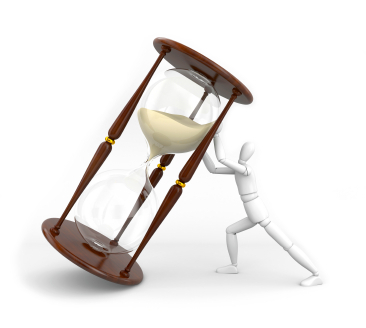 How do you manage these long-term projects while you are still doing your regular job? Planning is the key. 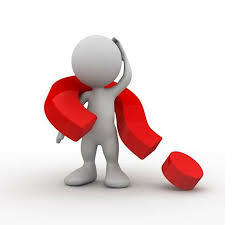 Whether the project is big or small you will likely have moments (maybe many of them) of trepidation, concern and even a few occasions of “What was I thinking? 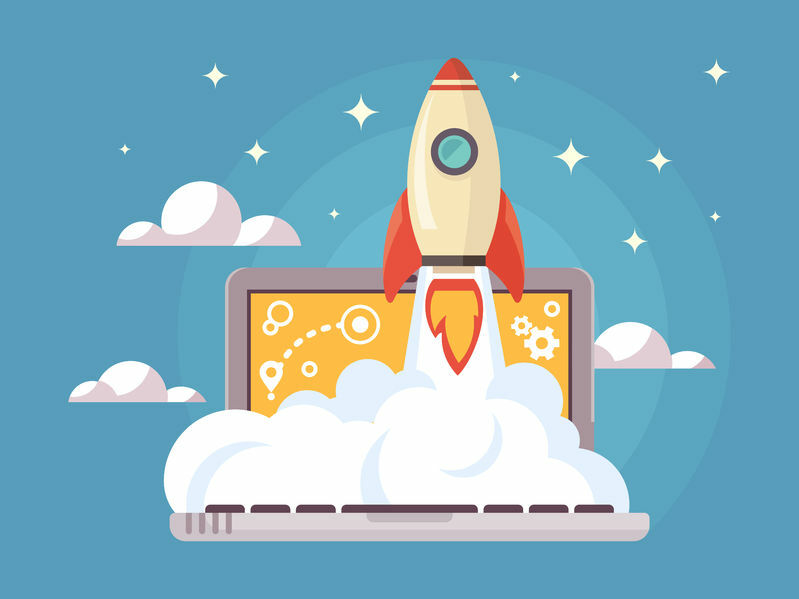 !” In a new blog I have been following, Belinda Wasser of RocketGirl Solutions presented seven ideas on How to Launch a Big Project. These steps work for small projects as well as large ones and are a great way to keep you on track or help you return if you get off course. no elephants were sacrificed for any of the projects mentioned! Set the end date before you begin. Wasser says it motivates you. I believe it keeps you on track. Keep in mind the places where you don’t have control over all the parts when it comes to a large project. For example, contractors don’t/can’t always adhere to the original schedule, and things do go wrong. For small projects, if you don’t have an end date, you are likely to let daily tasks get in the way and the project will not only never be completed, it will start to feel overwhelming and tedious. You won’t meet your goal if you don’t schedule the time to keep moving your project forward. Break the project down into its parts and create a plan. I have written about my technique of telescoping, microscoping, and periscoping when doing a big project. In telescoping you look down the road to the conclusion of the project as Wasser says for the first step. I also recommend you set additional internal dates for the different parts of the project. On a day-to-day basis you use microscoping to focus on the current step. Every so often you go to periscoping, popping up the periscope to see what’s next to see if everything is on schedule and what you will need to do next. For small projects, you still need to know the parts but periscoping will be less of a necessity. 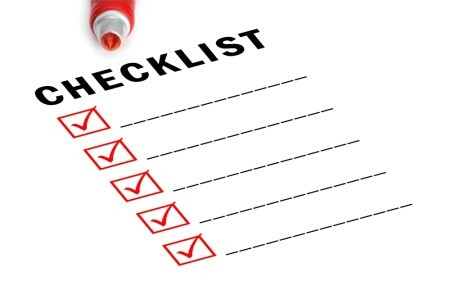 If you are relying on others for components of your project, such as getting approval for something, be sure to stay on top of it, nicely reminding that person of the “deadline” and the important part their role plays. 3. Schedule regular meetings. I’ve found librarians rarely do this even for a large project, but if you think it can help your progress, do it. This may be especially important if your project is outside of your library, such as for your state association (Zoom anyone?). Regardless of whether meetings will help, keeping people up to date on the state of the project is important and you should send reports to whomever is involved, particularly the administration. In meetings and in reports, focus on the positives. Report on any problems that are surfacing and how you plan to deal with them, including who will be helping you to take care of it. 4. Be decisive. At some point (or several) during a large project, you will have to make decisions. It often is about making some changes to the original plan. It’s challenging enough to take on a big project. When confronted by the need to alter it in some way, the tendency is to try to get the perfect solution, and you can spend time getting a lot of advice. That is what General Colin Powell calls “analysis paralysis.” You don’t have time to waste. Give yourself a short deadline for coming to a decision and go with it. Small projects (fortunately) rarely have these decisions. You might change a vendor or product for your starter makerspace or decide to have a theme book club requiring you to have books for participants to choose from. But the decisions shouldn’t take much time. Be prepared to spend extra time. You already have a full schedule, and there isn’t much you can do when this happens. You will have to fit in extra time for the project. This doesn’t mean you stay late every day or bring home an inordinate amount of work. An idea can be to create a list of responsibilities you can delegate temporarily so that when this happens, you have a plan. Also, remember to allow for downtime with friends and family during the process or you will be drained and exhausted when it’s complete. Small projects need little extra time, but since it can come up be mindful of them. Don’t forget the budget. Vendor sites and vendors themselves can give you a good idea of some of the costs. Use social media to ask those who have tackled this type of project to tell you how they budgeted, what were some unexpected costs, and how they handled writing RFPs (Request for Proposal). With a small project, many of you will be spending money out of your own pocket. You might buy makerspace supplies or treats for the book club. While this may be unavoidable, look for other funding sources such as your home school association or small grants. Visualizing the end. Just as the Vision for your library program serves as an inspiration, visualizing what you will have when you are done will keep you going on the tough days. It will become easier to hold the picture as you come closer to the end. Share the steps with others. Take pictures of the progress and create a display and/or post on your website. And one more step from me. Celebrate. Be proud of your achievement, large or small. You have expanded the library presence and improved student learning through your vision and courage. It’s what leadership is about. What is your school’s culture? What is your library’s culture? 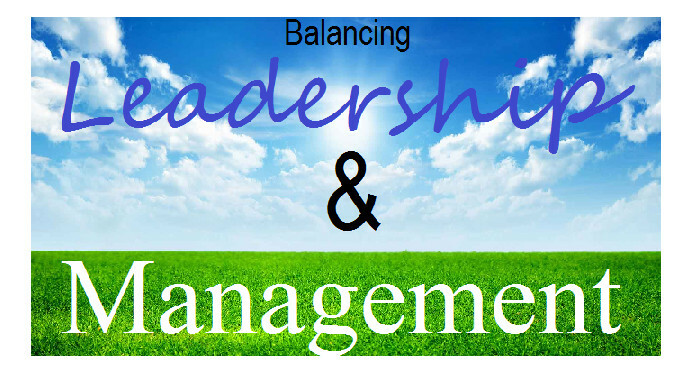 Both affect how you do your job, how you present yourself, and whether you are regarded as a leader. I blogged on this topic back in January, but a recent article made me want to revisit the topic. Readers may recall I worked in two districts with dramatically different cultures. The first voted down twenty budgets in the twenty-two years I was there. The second district passed every budget in the nine years I was there. This district prided itself on its history and its ability and willingness to support the school system. They viewed themselves as a lighthouse district. Indeed, pride along with diversity are still present on the district’s home page, mission, and superintendent’s vision. Knowing the culture of the two districts affected how I proposed my annual budget requests and projects. At the first school, everything was couched in terms of how my request(s) would be cost-saving. (Every dollar spent in the library affects all students.) I overheard a business teacher speaking to her department chair saying, “We don’t need new textbooks as long as Hilda’s library is up-to-date.” In the second school, I promoted my requests and ideas as a means of moving the school forward. In preparatory discussions with administrators, I would compare what I was seeking with what was happening in other leading school districts and libraries. I could be asking for the same thing in each school, but I framed it differently to fit the culture. 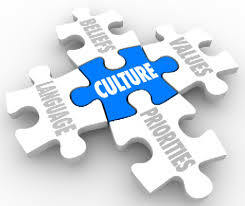 So if you’re (still) struggling with working within your school’s culture, you may appreciate the idea s from an article in Harvard Business Review where John Coleman discusses the Six Components of a Great Corporate Culture. Although he is addressing the business world much of what he says relates or is adaptable to education and the school library. Coleman starts with Vision. 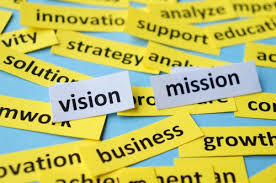 He states, “A great culture starts with a vision or mission statement.” I have been promoting this for years. 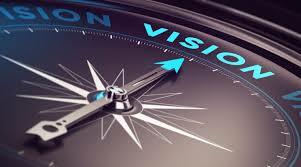 Your Vision and/or Mission must guide every decision you make. It sets the tone for everything. Don’t have one yet? Get started. You won’t be able to successfully advocate for your program without it. Also, make sure you know the vision for your school or school district. The more in line you can be, the easier your advocacy. Third is Practices. “Values are of little importance unless they are enshrined in a company’s practices.” How many times have we heard administrators say, “The library is the heart of the school,” only to see them eliminate the budget, close the library for numerous occasions, and in other ways indicate the statement is a platitude, not a reality. (This speaks to those unstated values). You can support this by truly doing all you can to carry out your Vision/Mission and Values. If this is something you are struggling with, how can you change this or get help? People is (are?) fourth. As Coleman says, “No company can build a coherent culture without people who either share its core values or possess the willingness and ability to embrace those values.” These “people” are your advocates. 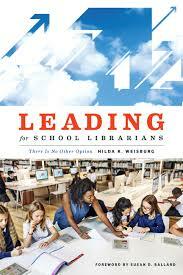 Are there teachers who share your values and value the library? What about your administrator? Any outside volunteers? This is why you need to communicate your Vision – and your Values. And are you showing you value the contributions of those around you? If you need support on this, go to the National School Library Standards portal, clicking on Administrators or Educators to get the appropriate resources. The fifth contributor to an institution’s culture is Narrative. This is where the power of emotions comes in. 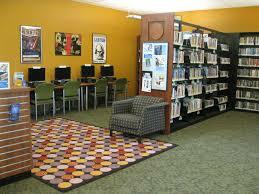 You need to tell your library’s story and embed it in the awareness of your stakeholders. Use emotional content and visuals to reach your audience. Where have you seen your program making a noticeable difference in the lives of students? Why is it not only valuable but indispensable? Have students worked on college applications at the library? Try to get pictures when they’re accepted. Have students put something they’ve learned in the library into action (such as a community garden)? Make sure to show the connection – and the excitement. Do quarterly reports highlighting student learning using various tech resources such as Canva, Piktochart or your favorite site. Get your narrative out into the community with social media. Finally, there is Place. The look of your facility is the first thing greeting all who enter. What message is it sending? Is it aligned with your Vision and Values or is there a disconnect? I’ve written about a list of rules being the first thing people see and how that can be a barrier. Where is the visual excitement of your space? You create the culture for your library. By taking stock of how yours measures up to these six components, you can make it a strong statement of who, what, and why you are. Also, match these six to identify your school culture. 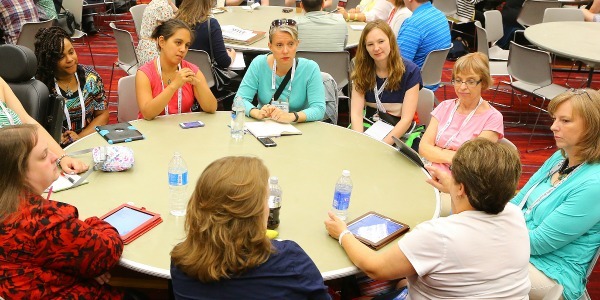 How well is the library culture aligned with the school culture? Again, is there a disconnect? If so, develop a strategic advocacy plan to make inroads on the school culture so that it will embrace the value of the school library and make certain you are using your awareness of the culture to support your initiatives. A challenging culture doesn’t mean you won’t get what you need. It means you’ll have to look for or develop new ways to success.